While much attention has been placed on the record number of young adults who are delaying homeownership, recent research shows that 70 percent of Americans still say they believe owning a home is an essential part of the American Dream. The nationwide survey of more than 11,300 registered voters was commissioned by the National Association of Home Builders and was conducted earlier this year by polling firm Morning Consult. The benefits of owning your own home are numerous – for you and for your community. You build financial strength and emotional well-being for you and your family, and at the same time, you promote increased stability for the surrounding community. Commitment to a community fosters civic participation. Through volunteering, school and church activities and property maintenance, homeowners contribute to making strong and healthy neighborhoods. 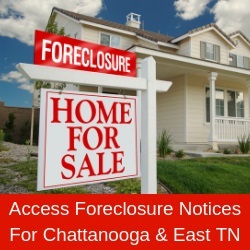 To learn more about the benefits of homeownership or find homeownership opportunities in Chattanooga or the surrounding area, contact the Home Builders Association of Greater Chattanooga at www.hbagc.net or visit (423) 624-9992.